The basis for the foundation of portfoliomanagement is the treaty between the federal states of the Free and Hanseatic City of Hamburg and Schleswig-Holstein signed in December 2015, under which it was founded as an independent public law institution. portfoliomanagement is not considered to be a lending institution or financial services institution and does not engage in transactions that require regulatory approval by national or international supervisory authorities. Nevertheless, specific provisions of the Banking Act, the Securities Trading Act and the Money Laundering Act apply to the institution. According to the interstate treaty, the institution is entrusted with the task of realizing and winding-down risk positions acquired from HSH Nordbank AG, its domestic or foreign subsidiaries and their legal successors on a for-profit basis, for the purpose of their stabilization, subject to the conditions of the Financial Market Stabilization Fund Act. The institution has been granted a lending authorization enabling the institution to finance the acquisition of a portfolio of non-performing loans from HSH Nordbank AG and to manage them. This is the mission of portfoliomanagement: qualified portfolio management preserving the asset interests of our sponsoring states. The long-term objective of portfoliomanagement is the wind-down of the transferred portfolio which conserves the maximum value possible for the sponsoring states of Hamburg and Schleswig-Holstein. Basically, the sale of individual exposures may also result in losses without conflicting with the overarching objective. As provided in the Statutes of the institution, the business activities are substantiated in the reduction plan, indicating the anticipated reduction of the volume of receivables based on the anticipated inflows from repayments and liquidation in the form of a forecast. In achieving its strategic objectives, portfoliomanagement is highly dependent on the current development of the shipping market, with charter rates obtainable by the borrowers in the market in particular being the material parameter for performing under the signed contracts (interest and principal payment). Charter rates are determined by the interaction of the freight capacities offered and demanded. Supply is increased by deliveries of new ships and is reduced primarily by scrapping. The demand for freight capacities in turn depends mainly on the macroeconomic development of global trade, which explains the high dependence of the shipping industry on economic trends. For instance, political, economic, social and armed conflicts typically slow down regional and global economic growth and impair the results of operations of the borrowers in the hsh portfoliomanagement AöR portfolio, which directly affects the recoverability of the collateral. portfoliomanagement takes account of the development of shipping markets in the structuring of its liquidation. In this connection, historical and forecast charter rates are the main cornerstones of the development of the restructuring affords. portfoliomanagement has its headquarters in Kiel and an office in Hamburg. The organization comprises two management departments. Department I, headed by Ms Ulrike Helfer, covers the Restructuring Management, the Loans sections an Human Resources. The material work with the portfolio is handled by these department that perform the work of managing the portfolio. Department II, headed by Dr Karl-Hermann Witte, ensures the operation of the institution. It consists of the Risk Controlling and Strategic Wind-down, Treasury and Finance, as well as the Business Management sections. The Office of the Board of Managing Directors assigned to both departments. The portfoliomanagement team consists of about 60 experts working on a wide range of tasks towards the common business objective. Shipping, financing, risk controlling, restructuring, banking operations – the portfoliomanagement team is successful with the help of the individual contribution and experience of each team member. Ulrike Helfer, born in 1959, started her professional career as a banking specialist with Landesgenossenschaftsbank AG. 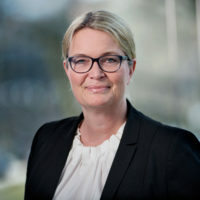 After appointments with Kieler Volksbank eG, Deutsche Bank AG and Vereins- und Westbank AG, among others as Deputy Head of the department for international shipping, she joined transport finance provider DVB Bank SE in 2005, where she was Deputy Head of the global container business and Head of the Hamburg branch. In 2011, Ulrike Helfer took over for DVB Bank SE the Athens branch as chief representative. As an expert for ship financing she enjoys a high reputation both in Germany and abroad. In July 2016, Ulrike Helfer was appointed Executive Director of portfoliomanagement. 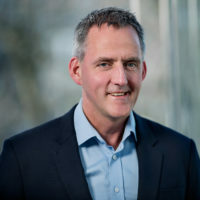 Dr Karl-Hermann Witte, born in 1962, initially worked as a project manager with Westdeutsche Landesbank Girozentrale after completing his training as a banker. 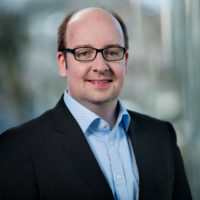 His next job took him to Schleswig-Holstein: as divisional manager for IT and organization with Landesbank Kiel. 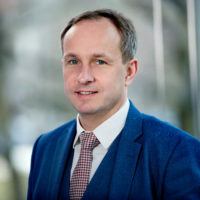 In 2003, Dr Karl-Hermann Witte joined Investitionsbank Schleswig-Holstein, taking over the divisional management of controlling and later the divisional management of lending business. 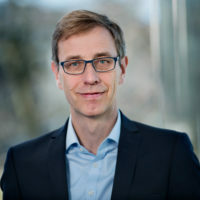 Since April 2009 he is in addition a managing director of hsh finanzfonds AöR. In January 2016, Dr Karl-Hermann Witte was appointed Executive Director of portfoliomanagement. The committees of portfoliomanagement include the Advisory Board and the Board of Sponsors. The Advisory Board defines the corporate governance principles, provides advice to the institution’s Executive Board, and supervises business management. The Board of Sponsors decides in cases determined by law or the institution’s Statutes on a variety of matters, including the adoption of an amendment to the Statutes, approval of the actions of the members of the Executive Board and of the Advisory Board as well as the acquisition of the individual risk positions. All three bodies of the institution – Executive Board, Advisory Board and Board of Sponsors – are in close contact with each other to ensure the successful development of the company. The sponsoring states of portfoliomanagement are the German Federal states Schleswig-Holstein and Hamburg, establishing the “Bad Bank” by concluding the interstate treaty dated 18 December 2015. The institution’s roadmap and the results of its work are periodically presented to the parliaments and the public as provided in the interstate treaty. portfoliomanagement therefore reports quarterly to the relevant committees of the Schleswig-Holstein Parliament and the Hamburg Parliament on “the affairs of the institution” on the basis of an “institution report”. HOW WERE THE TWO EXECUTIVE DIRECTORS SELECTED AND APPOINTED? 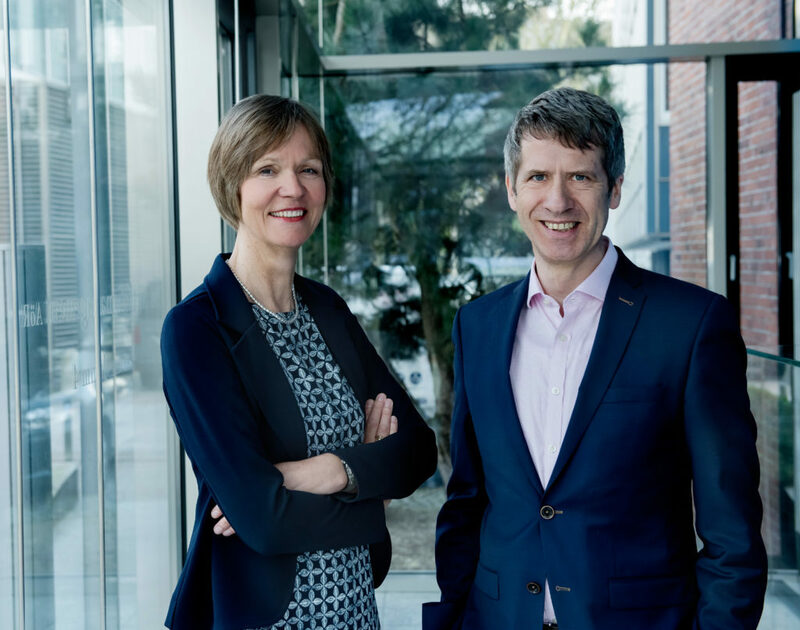 During the period of transition and establishment, the positions in the Executive Board of portfoliomanagement were initially filled by Dr Sibylle Roggencamp and Dr Karl-Hermann Witte. The two Board positions were advertised. The Advisory Board, assisted by a recruitment agency, carried out a selection procedure with the result of Ms Ulrike Helfer and Dr Karl-Hermann Witte being appointed Executive Directors of the institution. HOW IS AN EFFECTIVE AND PROFIT-ORIENTED REALIZATION OF THE PORTFOLIO ENSURED? The interstate treaty and the Statutes closely tie the institution to the task of realizing and liquidating the acquired portfolio on a for-profit basis, as provided for in Article 2 of the interstate treaty. Liquidation is based on a reduction plan requiring the consent of the Advisory Board, which is then submitted to the Board of Sponsors for approval. Within the strategic framework the Executive Board takes the operational decisions, assisted by a team of proven banking and market experts. In addition, successful realization also depends on the development in the shipping markets. HOW IS THE ADVISORY BOARD COMPOSED? The institution’s Advisory Board has four members, with both states appointing two members. 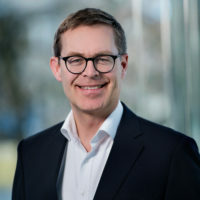 The Advisory Board is chaired by the highest-ranking representative of the Schleswig-Holstein or Hamburg Ministry of Finance; the chairmanship rotates on an annual basis between the States. 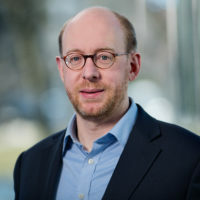 In 2019, State Secretary Udo Philipp is the Chairman of the Advisory Board with Mrs Sabine Uplegger being the second member for Schleswig-Holstein. The State of Hamburg is represented by Dr Sibylle Roggencamp and Prof Dr Stephan Schüller. IS IT CONCEIVABLE THAT THE ADVISORY BOARD TAKE DECISIONS THAT CONFLICT WITH THE INTERESTS OF THE SPONSORING STATES? No; resolutions of the Advisory Board can under no circumstances be taken against the will of one of the two sponsoring states. The Statutes provide that resolutions of the Board of Sponsors always have to be adopted unanimously. On the Advisory Board, both sponsoring states have a right of veto. HOW MANY MEMBERS DOES THE BOARD OF SPONSORS HAVE? The Board of Sponsors has two members, one representative each of the states of Hamburg and Schleswig-Holstein. The current members of the Board of Sponsors are State Minister Ms Monika Heinold (Schleswig-Holstein) and Senator Dr Andreas Dressel (Hamburg). The Board of Sponsors is chaired in 2018 by Schleswig-Holstein; the chairmanship rotates on an annual basis.